While filming a news story about train delays at Union Station, CBS 2 News in Chicago inadvertently captured a bicycle crash between a cab driver and a Chicago bicyclist at the intersection of Canal Street and West Adams Street on Friday, February 24, 2017. CBS 2 later ran a segment on the ten o'clock news and online entitled "Anatomy Of A Bike Crash: Who's At Fault?" Just prior to the collision, the bicyclist was riding northbound on Canal Street and the cab driver was driving westbound on Adams Street. The segment showed the crash video in real time which, like most crashes, happened unexpectedly and suddenly. Keating Law Offices has been retained by the bicyclist to represent him in this matter. 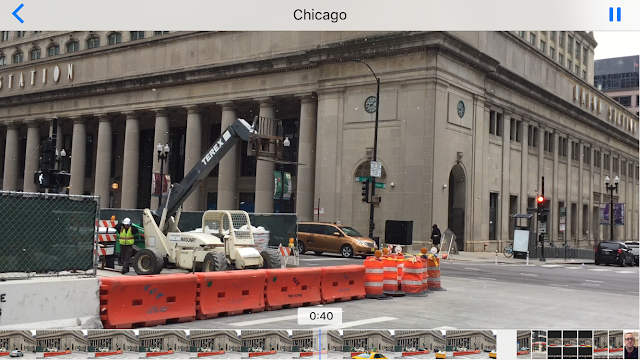 Initially, the video seemed to suggest that the bicyclist may have entered the intersection on a red light while the westbound cab driver had a green light. However, a closer analysis of the video and a site investigation by Keating Law Offices of the timing sequence of the traffic signals shows that at the moment of the impact the bicyclist had a green light and pedestrians had a "Walk" signal on Adams Street. The video correspondingly demonstrates that at the moment of impact the westbound cab driver had a red light at Canal Street. The CBS video starts at 00:57 and runs in descending order to 00:00. Below is an image from the CBS footage (00:54) of the bicyclist in the intersection of Canal Street and Adams Street just prior to the impact. The cab is in the background but is obscured by the CBS reporter in the foreground in this image. The CBS footage (00:53) from moments later depicts the impact between the bicyclist and the taxi cab. 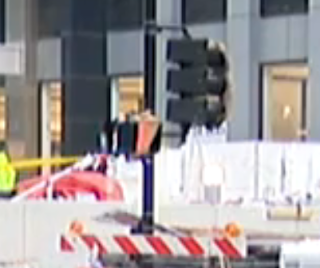 By zooming in on the same moment it is clear that the bright white "Walk" signal was illuminated for the crosswalk on Canal Street just prior to and at the time of the collision. An inspection at the scene by Keating Law Offices discovered that the white "Walk" signal seen in the images above for pedestrians on Canal Street is only illuminated when the westbound traffic on Adams Street, such as the cab in this collision, has a red light. 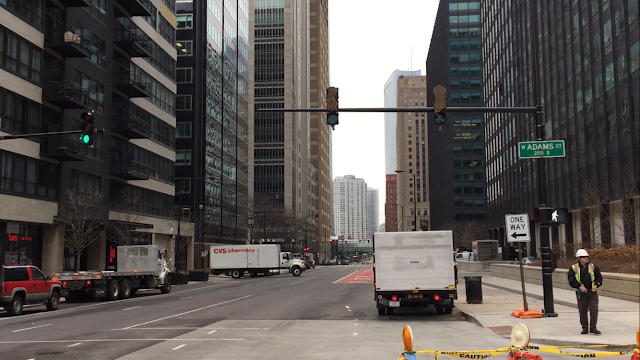 In addition, Northbound traffic on Canal Street only receives a green light at the same moment that the "Walk" signal is illuminated for pedestrians crossing Adams Street while walking north/south along Canal Street. 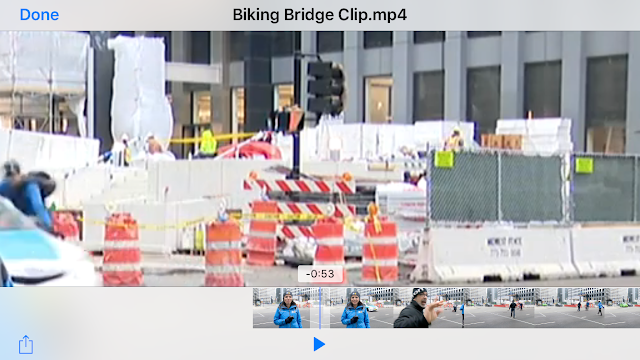 As noted by the CBS news segment, this crash shows the dangers facing bicyclists in Chicago. And unlike the driver of a motor vehicle, a bicyclist is a vulnerable user of the roadway who is at a tremendous disadvantage when a crash like this occurs.